Vishnu Tirumala will be the next Student Government Association President after beating Georgie Sook in a run-off election, according to unofficial election results. Tirumala will be joined by running mate Sarah Love, who beat Karen Udoh for Executive Vice President, and Jonathan Fuller, who beat Kyle Hornback for Academic Vice President. The three run-off winners join Chris Bird, who won over 50 percent of the initial vote to become Services Vice President. 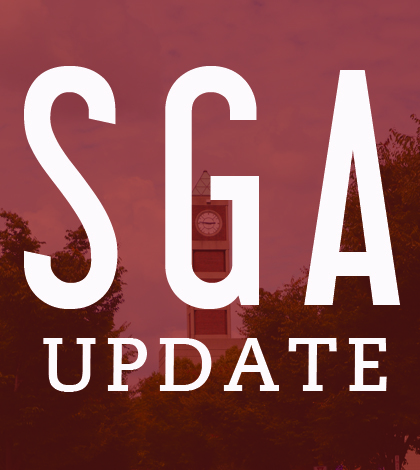 A SGA election rule says a top four candidate must win by 40 percent. If that doesn’t happen, the top two candidates enter into a run-off election. With an unprecedented number of candidates, three of the four top four slots required run-offs. Over 2,000 students voted in the run-off – a record for a run-off election. The initial election also had a record turnout, with over 3,800 students voting.